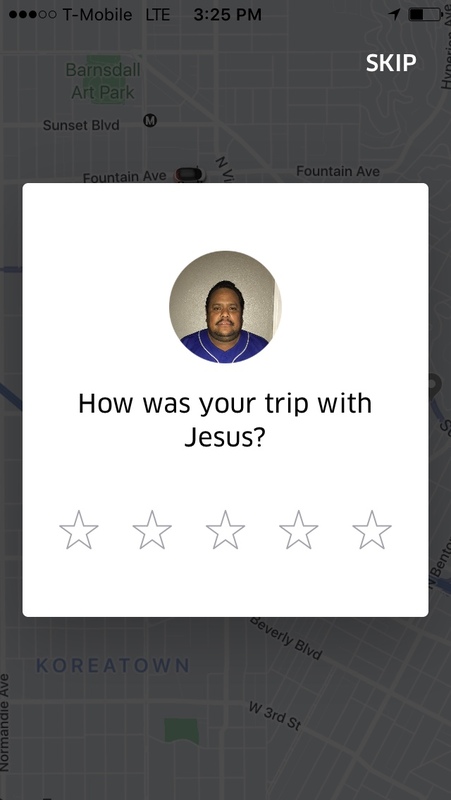 Make that Lyft, since that’s the city’s preferred ride app. I only had 16 hours in L.A. just before Christmas, but I made them count, covering old favorites and discovering new ones. Went from the airport straight to Tortoise General Store, my favorite Japanese home store, in Venice. They recently expanded into a beautiful, easier-to-maneuver-in space + gallery. I flipped for the modern takes on Japanese workwear, tabi boots, Hasami porcelain, and perhaps the only stylish Kleenex-box cover. I can afford 18.2% of the things here, but it’s always an inspiring browse. Next, Echo Park. I lined up for a stool at the new Japanese sandwich shop Konbi, which is packing them in thanks to their Instagrammable egg salad sandwich. I also had a nori-dusted salad, a perfect cannelé, and — my new favorite — a latte made with hojicha, the roasted Japanese tea. (Turns out they source from Kettl in Brooklyn.) I loved it so much, I got the recipe from the owner. Find it here. Just to be safe, I stopped by Sqirl before closing to get pastries for the flight home. You know, some yuzu loaf cake and a buckwheat financier. 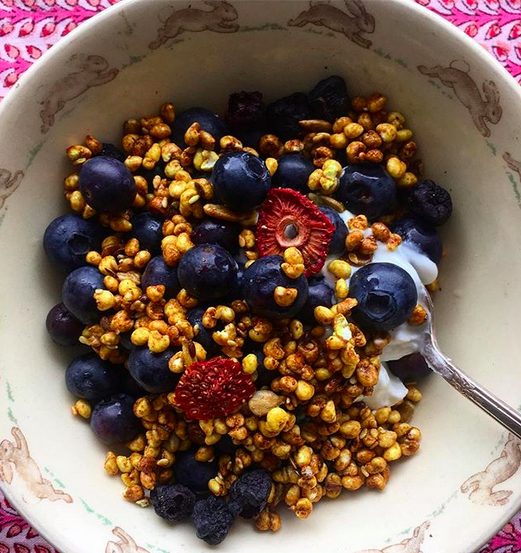 I threw in a bag of seedy granola for a friend, and chef Jessica Koslow insisted that I try the puffed turmeric millet granola with little dehydrated strawberries from the market. I left feeling bad about New York and went to my friend’s house, picked avocados, and felt worse. Dinner at Bavel, which had just topped every year-end list — not only for the Middle Eastern food from the husband and wife behind Bestia, but for the hanging-garden décor, too. The duck ‘nduja hummus was nuts, but it was almost upstaged by the just-baked pita. Harissa-marinated grilled prawns were a fun mess. The pork tagine was accompanied by snowy housemade couscous. I shared everything and was too full for dessert — a very rare occurrence. Breakfast was at star pastry chef Nicole Rucker’s new bakery and all-day café, Fiona. I’ve been tracking her since she created those insane baklava croissants for Gjusta. Here, her biscuit/scone and pie games are exceptionally strong. (Cake, too.) On the savory side, the masa harina pancake was definitely something I’ll try to recreate at home. If I’d had more room in my bag, I would’ve taken a slice of sesame-butter toast to go. Next time for sure. I stopped by Gjusta on the way to the airport, but there were 47 numbers before mine, so. Bye, L.A.!